Though Stradivari was influenced by his famous predecessor Nicolò Amati, especially at the very beginning of his career in the 1660s, he very quickly developed his own style and model. The “Auer” is a definitive example of the master’s early work. Its artistic contours, lovely native Italian maple, and copper-colored varnish all form perfect visual harmony. The violin takes its name from Leopold Auer, who was the most influential teacher of the late 19th- and early 20th-centuries. Jascha Heifetz, Mischa Elman, Nathan Milstein, and numerous other great Russian violinists were all his pupils. Auer acquired the violin from a Mr. Aarhessen in 1875 and kept it until 1895, when it appeared in the possession of Victor De Gloubonoff. 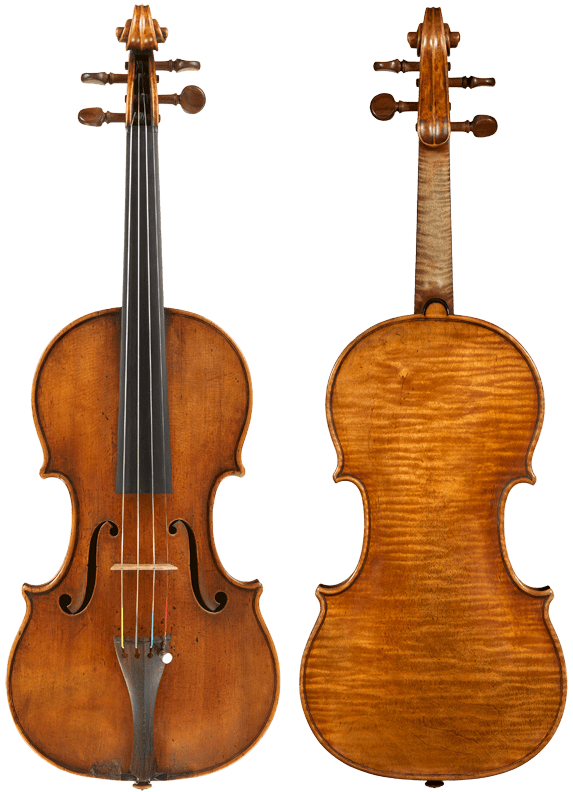 The violin was in the Richard Bennett Collection in 1926 and then passed through the Hills’ firm to the American collector Harrison Bowne Smith in 1934. In the 1980s, the present owner acquired the violin for use by talented young violinists in association with The Stradivari Society®. Since that time Dylana Jensen, Leonidas Kavakos, and Eunice Lee have all concertized extensively using the “Auer.” The Russian-Israeli soloist Vadim Gluzman is the current recipient of the “Auer” from the Society.